It's time to put on gloves and prove your worth! 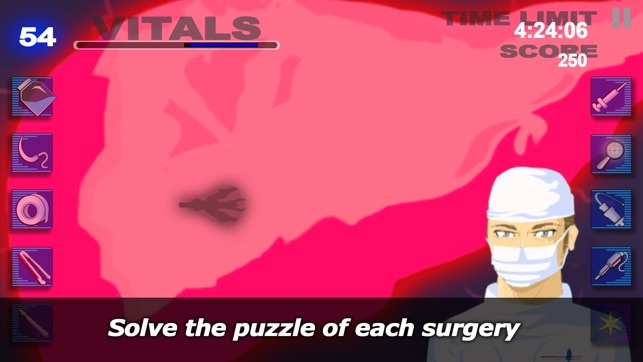 You play as a character named Zack Starks, the new surgeon of the Confidence Hospital. Get the job and prove your worth to reach the top! 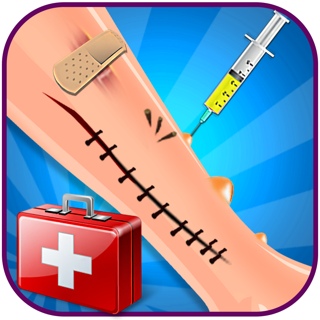 Improve your skill as a surgeon and perform simple and advanced operations. 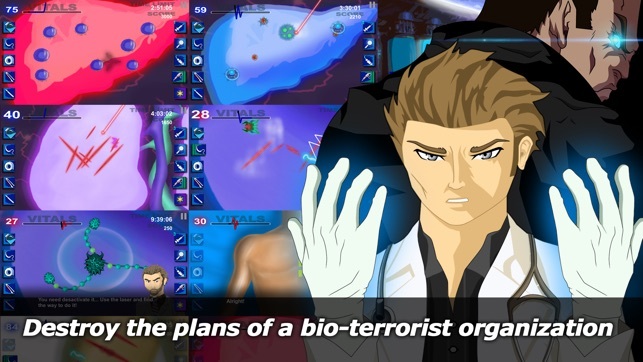 Discover the fascinating story of this young surgeon and destroy the evil plans of a bio-terrorist organization, you will fight against the most lethal strains. 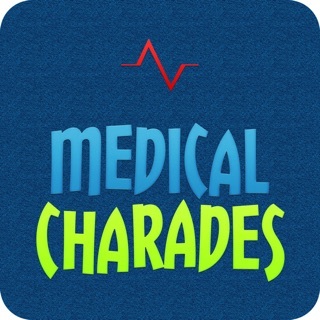 ● Use your applied skills to solve the puzzle of each surgery. ● Perform all types of surgeries, routine interventions, excisions of tumors and strains created by bioterrorists. ● 9 different types of tools. ● Awaken the power within you. Do you found some errors? Do you have some suggestion to improve the game? -Comment and explain us with details (level where you found a bug , iPhone model...) and we will see as soon as possible. First review ever, how do I start? 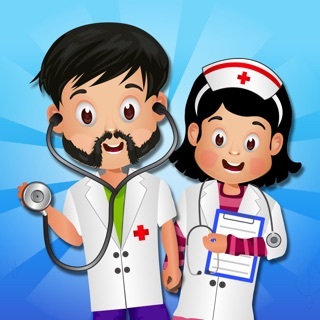 When I first saw this game, I was a bit eager to try it, a Trauma Center like game, in the iPhone! Must be a great game, right? Wrong. For playability, I will give a two out of five. When I tap certain things, it depends if it senses it or not, when I use the stitch tool, it doesn't trace the path I made very well. 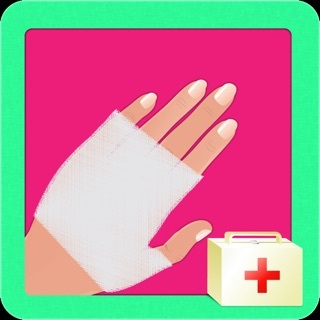 Same goes with the bandage tool. Game characters and art, one out of five. UNCREATIVE. Zack Starks is basically Derek Stiles, Markus Vaughn, and Erhard Muller (CR-S01) all combined together. Same goes with some other characters, others are just characters with tiny edits. And don't get me started on scenes, copying the Cr-s01 pose and the Phoenix Wright glare ain't cool. 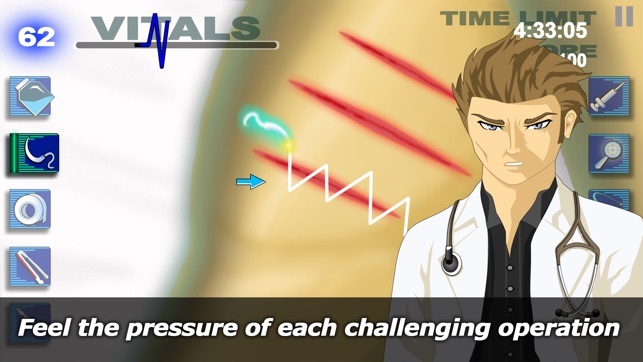 And also the gameplay levels are exactly the same to the levels in Trauma Center and Team. And not to mention, lots of spelling and grammatical errors. Epic fail. Finally, gameplay itself, one out of five. 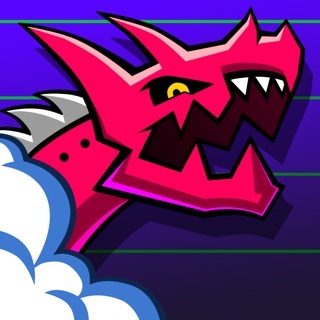 A lot of the levels are almost impossible to beat. And, have stupid glitches. For example, the first viral boss (parodic Kyriaki), when I raise the vitals to 75, I automatically lose, and not because of time. And what's really unfair is how quickly the vitals drop. 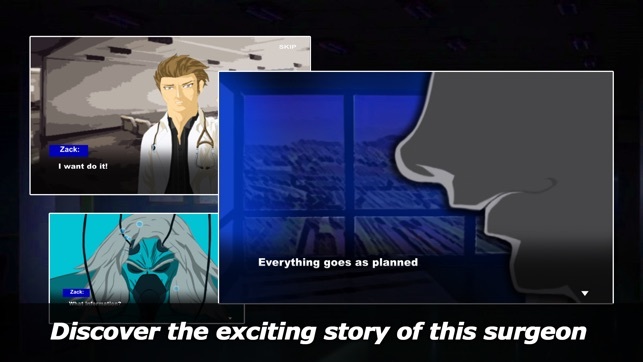 Trauma center is isn't like that at all. Overall? Terrible game, like a Chinese knockoff product. I do not suggest purchasing the game, because its not even worth a penny. This game is so bad it's hilarious.